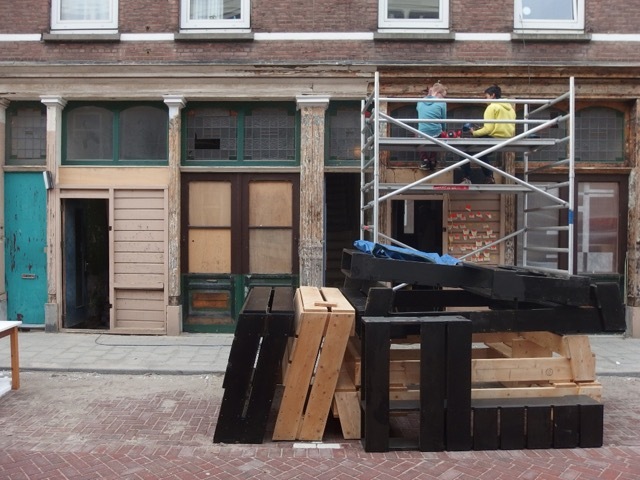 This half-a-day seminar on 15 June 2015 at City in the Making in Rotterdam, moves between the floors of a set of buildings recently rescued from a destiny of long-term hibernation. Joined with a group of about 20 participants (from Stockholm, Paris, Netherlands) we will reflect on this particular endeavour from the perspective of how and on which premises to common the city, in the context of the unravelling welfare state and re-emergent struggles for urban existence. The event is one of the final stages of STEALTH’s practice base PhD research at the Royal Institute of Art in Stockholm, titled Practices of the Essential In-between, which in parallel to urban commons and alternative economic models discusses role of practices like ours in these processes. With input from Martijn Jeroen van der Linden (researcher at TU Delft / Economics of Innovation and Technology, who’s PhD thesis focuses on the purposes of money and capital, and aims to propose a new design for the monetary system), Aetzel Griffioen (political philosopher, co-ordinator of Skillcity Rotterdam, who researches new forms of collective prosperity and works on socio-ecologic education in neighbourhoods of Rotterdam-South) and Saskia van Stein (curator, director Bureau Europa, Maastricht). The day has been conceptualised in consultation with our companions at City in the Making – Piet Vollaard and Erik Jutten.